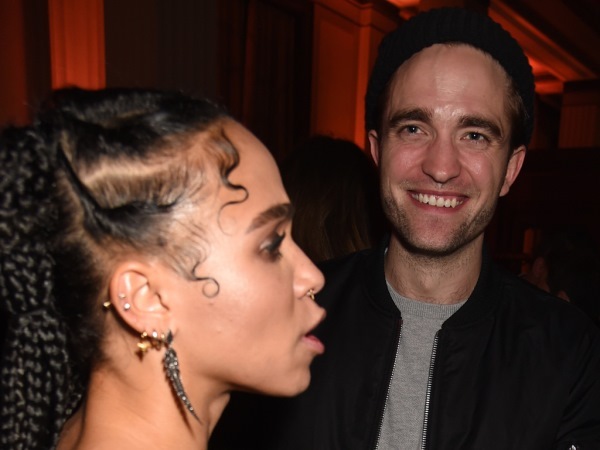 FKA twigs and Robert Pattinson reportedly want to marry in a pub. Speculation is rife the couple became engaged recently. And according to People magazine although Robert’s parents “would really like a church wedding”, they have quite a different nuptial ceremony in mind. “[FKA twigs] wants something quite informal, like a pub wedding,” a source told the publication. There are numerous marriages happening within the couple’s milieu, as Robert’s older sister Victoria is thought to have become betrothed to her future husband John Peppitt a few months back. FKA twigs, real name Tahliah Barnett, and Robert (28) are rumoured to be tying the knot later this summer, but the insider told People nuptial plans are “not definite” as of yet. The Twilight actor began dating the 27-year-old Pendulum singer around six months ago. On April 1 musician T-Pain broke the news of the couple’s alleged engagement. While the couple are yet to confirm the news themselves, Robert has reportedly been seen shopping for engagement rings in recent months. Suche jemanden , der bei mir ankommen möchte und bei dem ich ankommen kann.